Information: Cecil James Sharp, researcher, teacher, and author of books about folk dance in the English and Anglo-American traditions and European dance history. Cecil was born on November 22, 1859. He was the founding father of the folklore revival in England in the early 20th century, and many of England's traditional dances and music owe their continuing existence to his work in recording and publishing them. Sharp was born in Camberwell, London, the eldest son of James Sharp (a slate merchant who was interested in archaeology, architecture, old furniture, and music) and his wife, Jane née Bloyd, was also a music lover. Sharp was educated at Uppingham, but left at 15 and was privately coached for the University of Cambridge, where he rowed in the Clare College boat and graduated B.A. in 1882. On August 22, 1893, at East Clevedon, Somerset, he married Constance Dorothea Birch, also a music lover. They had three daughters and a son. 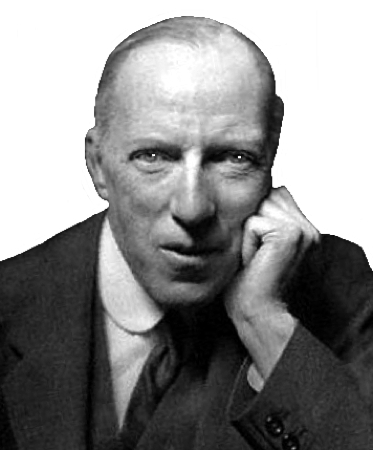 Cecil Sharp, along with eight others, formed The Folk-Song Society, founded in London in 1898, and which focused on collecting and publishing folk songs of Britain and Ireland. Sharp taught and composed music. Because music pedagogy of his time originated from Germany and was entirely based on tunes from German folk music, Sharp, as a music teacher, became interested in the vocal and instrumental (dance) folk music of the British Isles, especially the tunes. He became interested in traditional English dance when he saw a group of Morris dancers at Christmas 1899. At this time, Morris dancing was almost extinct, and the interest generated by Sharp's notations kept the tradition alive. In 1911 Sharp founded the English Folk Dance Society, which promoted the traditional dances through workshops held nationwide, and which later merged with the Folk Song Society in 1932 to form the English Folk Dance and Song Society (EFDSS). The current London headquarters of the EFDSS is named Cecil Sharp House in his honor. Cecil Sharp attended meeting of the Espérance Club, but did not become associated with the organization which became known as the "Association for the Revival and Practice of Folk Music." Both he and Mary Neal seem to have agreed that the actual cobecting of the dances would not be a function of the Association. A disagreement between Cecil Sharp and Mary Neal came about gradually  he being somewhat worried about the standard of dancing and teaching of the Espérance girls, and keen to uphold what he felt were artistic standards. She evidently felt that he was too pedantic on the subject and was more interested in the songs and dances as a source of amusement and happiness for her girls and for others. The arguments between Mary Neal and Cecil Sharp and their respective followers have echoed down through the years, and the philosophies represented by these are in a sense at the root of many of the present day arguments about how 'Folk' should be promoted (if indeed it should at all). Country Dance Book, 6 vols. Sharp, Cecil J.. London: Novello, 1909-1927. Country Dance Book, vol. I. Sharp, Cecil J. London: Novello, 1909; New York: H.W. Gray, 1912, 1922, 1927. 18 traditional dances of England and America. 1909. Country Dance Book, vol. II. Sharp, Cecil J. London: Novello, 1913, 1927. 30 dances redescribed and interpreted from Playford's English Dancing Master 1650-1728. Country Dance Book, vol. III. Sharp, Cecil J., and Butterworth, George. London: Novello, 1912, 1927. 35 dances from Playford's English Dancing Master 1650-1728. Issued with Country Dance Tunes #5 and #6. Country Dance Book, vol. IV. Sharp, Cecil J, and Butterworth, George. London: Novello; New York: Gray, 1916. 43 dances from Playford's English Dancing Master 1650-1728. Country Dance Book, vol. V. Sharp, Cecil J, and Karpeles, Maud. London: Novello, 1918. Running set dances collected by Sharp in Kentucky and the Appalachian Mountains. Country Dance Book, vol. VI. Sharp, Cecil J, and Butterworth, George. London: Novello; New York: Gray, 1919. 52 dances from Playford's English Dancing Master 1650-1728. Country Dance Tunes. Sharp, Cecil J. London: Novello: Sets 1-5, 1909; sets 6-8, 1912. The Dance. Sharp, Cecil J., and Oppe, A.P.. New York: Minton, Balch, 1924. Historical survey of European dance from the 1500s to 1924. England Country Dance Graded Series. Sharp, Cecil J. Vol. VI (Intermediate-Advanced). England Folk-Songs for Schools: Curwen's Edition 5120. Baring Gould, S, and Sharp, Cecil J. London: Curwen. English Folk Song: Some Conclusions. London: Simpkin; Novello, 1907. English Folk Songs. London: Novello, 1916. Collected and arranged with pianoforte accompaniment by Cecil J. Sharp. English folk songs from the southern Appalachians, collected by Cecil J. Sharp, Oxford: Oxford University Press, 1932. Comprising two hundred and seventy-four songs and ballads with nine hundred and sixty-eight tunes, including thirty-nine tunes contributed by Olive Dame Campbell, edited by Maud Karpeles. Folk Songs, Chanteys and Singing Games. C. J. Sharp, and Farnsworth, C.H.? : Gray, n.d.
An Introduction to the England Country Dance. Sharp, Cecil J. London: Novello, 1909. Instructions and music for 12 dances. The Morris Book. Sharp, Cecil J., Macilwaine, H. C., and Butterworth, George. London: Novello, 1906. History and instructions for Morris dances. The Morris Book, vols. 1-5. Sharp, Cecil J., Macilwaine, H. C., and Butterworth, George. London: Novello, 1909-1913. History and instructions for Morris dances. Morris Dance Tunes, 10 vols. Sharp, Cecil J., and Macilwaine, H. C.. London: Novello, 1910. The Sword Dances of Northern England, 3 vols. in 1. Sharp, Cecil J. London: Novello; New York: Gray, 1912-1913. Backgrounds and descriptions of the dances. Illustrated. Country Dance and Song, a book.